Acquiring small business insurance can be a complex and stressful endeavor, especially for new business owners. It can be difficult to decide what needs to be covered, and even more difficult to find reasonable premiums that you can afford. However, insurance is an important part of your industry. You want to make sure that you, your company and your employees are protected should anything happen. If you are considering different options for small business insurance, keep reading below. There, we have listed the different types of insurance that you need. Whether your business operates in an office or through a storefront, it is important to have property insurance. This will compensate you in the event of loss or damages due theft, fire or other common property troubles. Now only does property insurance protect the physical building – the right plan can also protect “personal property” which includes your office furniture, machinery, computers and more. Property insurance is a must-have for any small business. General liability coverage protects you from a variety of legal actions from business accidents. If your business is sued, this insurance will help. Insurance can help cover the related costs when it comes to lawsuits for false advertising claims, personal injury, slander or property damage. No matter what business you run, it is important to protect your company from these types of incidents. Auto insurance for businesses is essential. Whether you own, rent or lease trucks and cars for business use, it is very important that you have them covered by an business insurance plan. In the event of an accident, you want to be certain that your business is protected. Even if you use your personal vehicle for business use, it is best to have it doubly insured. You do not want to risk someone suing your company for a personal accident or vice versa. There is also commercial auto insurance policies to consider. These types of business policies cover costs from work-related auto accidents. Even if you do not have specific business cars, you could still need this policy. If employees drive their own cars on work related errands, like heading to the graphic design artist to see e-newsletter templates, this can help you incurring costs from any accidents they may get into. This is a business insurance policy that not many think to purchase, but you would be wise to consider it. If your small business sells or manufactures goods, your business may be liable for the product’s safety. This type of coverage is specific to the individual business. Some products carry far less risk than others. Discuss with your agent what type of product insurance you should consider. In the end, this could protect you from serious financial loss. Worker’s compensation insurance is mandatory in almost every state. This type of insurance protects your employees if they are ever injured or disabled on the job. The insurance will cover compensation for their medical bills and loss of income. If you run a small business with a few employees, you will need to get coverage as soon as you get mobile payment processing set up. 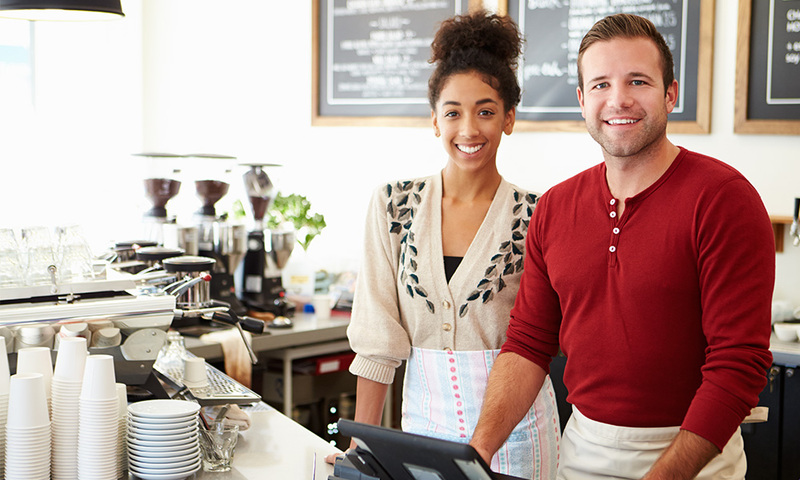 Business owner’s insurance is designed specifically to protect you. Although it is not mandatory, it can be extremely useful in times of trouble. This insurance will protect you from holding any personal liability in the case of litigation against your company. Be sure to look into options for this type of insurance as you are preparing the rest of your company with various forms of insurance. Insurance coverage is essential for the success of any business. There are many types of small business insurance that are required to protect you, your employees and your company property. Be sure to cover all of these types as you sign up for your insurance plan.